Padron is a highly respected maker of some of the finest cigars in the world. Legendary for crafting Cuban-style premium stogies chock full of intense, in your face flavor. Well, Padron Damaso turns a corner for the well-renowned brand with a mild to medium-bodied blend. Damaso is the first Padron handcrafted with a silky Ecuador Connecticut wrapper over a rich amalgam of Nicaraguan filler tobaccos and Nicaraguan binder. A delicate creaminess permeates the smoke, all the while releasing hints of rich cedar, black pepper, and spice. 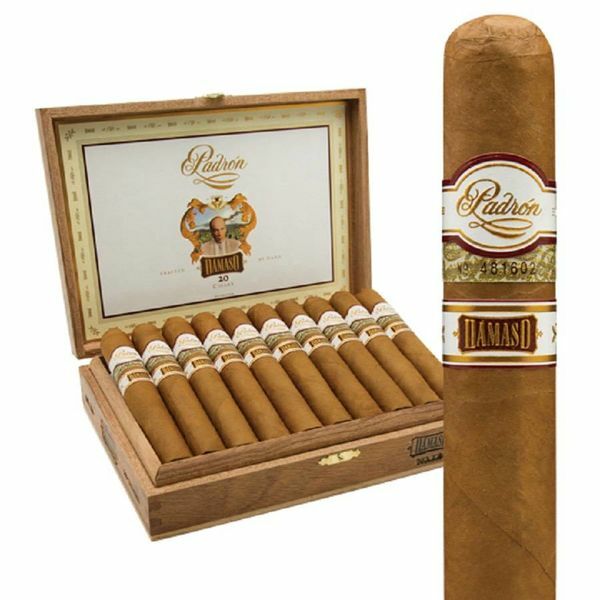 The Padron Damaso is an excellent addition to their already stellar line up of high quality cigars.